In a 20-page decision that was released at 2:32 p.m. Tuesday, NFL commissioner Roger Goodell upheld Tom Brady’s four-game Deflategate suspension. In the day’s most shocking revelation, the commissioner revealed that Brady ordered his assistant to destroy his cellphone on the same day (March 6) Brady was interviewed by NFL investigator Ted Wells. Brady did not disclose this development for several months and it was not confirmed until the day of his suspension appeal hearing, June 23. What do you say now, Patriot fans? Still think the NFL is out to get the Patriots? Still think Tom Brady is clean? Still think this is a witch hunt? Of course you do. And that is why at a time when you should be embarrassed, you are probably emboldened. Please. Give up. It’s time for local loyalists to parachute down from Planet Patriot and get in touch with reality. Stop twisting yourselves into knots to justify the petty crimes and coverups of the Patriots and their quarterback. According to the NFL, the Patriots cheated. They tampered with footballs after the balls were approved by game officials. The NFL terms it an ongoing “scheme.’’ It’s not a huge transgression, but the tampering was done to gain a competitive advantage. It appears to have been systematic. Tom Brady knew about it, then he destroyed evidence. The league’s commissioner said Tom Brady instructed an assistant to destroy his phone hours before meeting with the Deflategate investigator. Sorry. Obstructing an investigation by destroying evidence doesn’t play in America. No matter what happens now, the hard-earned accomplishments of Brady and the Patriots are tarnished. This just keeps getting worse for the Patriots. This is way worse than Spygate. It’s worse than losing the perfect season in Glendale, Ariz., in February of 2008. Really? Then why did the Patriots suspend Jim McNally and John Jastremski? Why did Bob Kraft accept the loss of two draft picks (one a first-rounder) and the largest fine in the history of the NFL without a fight? Why didn’t the Patriots produce McNally for a final interview after Wells learned about damning texts? Why didn’t they bring McNally back last month when Goodell again offered to bring in the former equipment man for clarification? The Patriots, like Brady, evidently arrived at the conclusion that it was better to cover up than to comply. It makes you wonder how bad this really was. What else are the Patriots hiding? What else might come out? The NFL Players Association is fully prepared to take Brady’s case to federal court in a case that would test the punishing powers of the commissioner. Swell. The Patriots and Brady believe they can escape on a legal loophole, like a criminal who goes free because the cops made a procedural error. It might work. Brady could get an injunction that would allow him to play football while the case is adjudicated. Maybe the NFLPA will prevail and Brady’s punishment would be erased. But it could backfire. Going to federal court could result in Brady serving his suspension at a more inopportune time (December?). It threatens to send the Patriots into their 2015 season under a cloud of uncertainty. We all know Bill Belichick hates uncertainty. How far does Brady want to take this? Belichick has skated thus far. Does Brady want to go down any path that might get his coach (the man with the Spygate prior on his résumé) involved in this mess? Does getting a suspension lifted on a technicality restore the image of a guy who tosses his cellphone like a character in “Breaking Bad”? Perhaps now we know why Kraft rolled over at the owners meeting in San Francisco in May. He knows that disclosure is not the Patriots’ friend in this matter. The Patriots have been stubborn and defensive since the news of this scandal broke. Rather than admit guilt and accept punishments, they have denied everything and insisted that the league “has got nothing.’’ Kraft went so far as to demand an apology when he arrived at the Super Bowl. This strategy — probably directed by angry son Jonathan Kraft — has blown up in the Patriots’ facemasks at every turn. Tuesday’s disclosure that Brady destroyed his cellphone is yet another example of the latter point. If Brady had simply accepted his punishment and not appealed, chances are we would not know about this blatant obstruction of the NFL’s investigation. The Patriots media cartel could continue to promote the narrative of Patriots-as-victims. A statement from the team late Tuesday afternoon perfectly demonstrated the intransigence that got everybody here in the first place. The Patriots said they are “extremely disappointed’’ in Goodell’s ruling, again noted the “folly” of the Wells Report science, and said it was incomprehensible that the league is trying to destroy the reputation of one of its greatest players and representatives. Way to go, Patriots. Keep howling at the moon. We all know that Planet Patriot orbits in an alternate universe. Time to give it up, people. 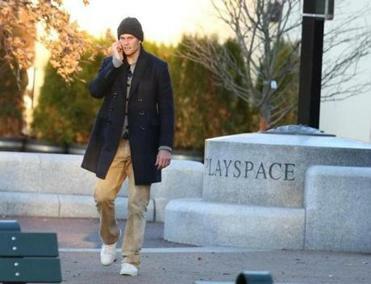 Your quarterback destroyed his cellphone on the day he was called to explain Deflategate. What more do you need?